Most Americans envision their retirement as a peaceful time to enjoy family, friends, and hobbies. 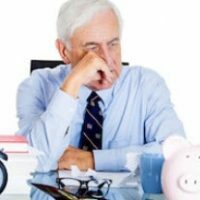 Unfortunately, for many Americans, retirement is a time of enormous financial stress. Not only does your income typically plunge, but medical expenses can also skyrocket. At this time of life, you might find yourself more financially distressed than at any other point. Helpfully, seniors can file for bankruptcy just like any other consumer. However, they must carefully consider whether bankruptcy is the best option. Some income is exempted in bankruptcy. For example, income from a 401(k) or 403(b), as well as Social Security benefits, are exempt. The creditor cannot take this money and distribute it to creditors. But other income is not exempted, so it is fair game. If you have rental property income, for example, then you will need to use it to pay creditors. Many seniors are carrying expensive medical debt. A Chapter 7 bankruptcy can make this debt disappear in short order, but you will have to pay back a good chunk of it in a Chapter 13. The same is true of unsecured debt like credit card debt or personal loans. Things are different if you have a secured debt, like a car loan, where the asset acts as collateral for the debt. No bankruptcy can eliminate the security interest the lender has in the collateral. However, if your car has depreciated, then you might be able to lower the amount you owe on the car. Talk to a bankruptcy attorney today. Will Bankruptcy Affect Getting into a Nursing Home? Nursing homes that accept Medicaid cannot refuse someone because they have filed for bankruptcy. But things are different if you are trying to get into a private nursing home, where they look at your financial history. In this situation, the nursing home might reject you if you recently filed for bankruptcy. Of course, they might also reject you if you have too much debt, so this is a real catch-22. Have You Transferred Property to Family Members? Some seniors give property to their children or sell it to them for a price far below market value. Depending on when you made the transfer, the bankruptcy trustee might void the transfer, meaning your child would need to give the property back. You should write down a list of gifts you have made to children and when you made them so your lawyer can analyze whether you should file. Do You Have the Money to File? Few lawyers work for free, and you need to pay filing fees when you file your bankruptcy petition. If you file a Chapter 13, then attorneys’ fees can be spread out over your payment plan. However, if you want to file a Chapter 7, you need to come up with the money upfront. If this isn’t in the cards for you, then you might choose not to file. Whether seniors should file for bankruptcy does not always have a clear answer. For help thinking through your options, please contact Nowack & Olson today. One of our Plantation bankruptcy attorneys will meet with you for a free consultation.